T. Dang, N. Pendar, and A. G. Forbes. 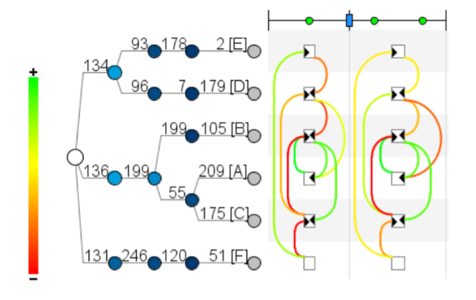 TimeArcs: Visualizing fluctuations in dynamic networks. Computer Graphics Forum (Proc. EuroVis), 35(3), June 2016. 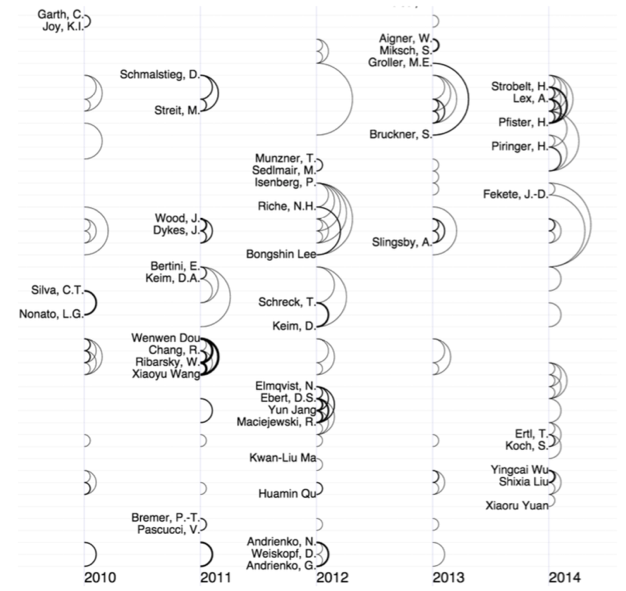 Greilich M, Burch M, Diehl S. Visualizing the evolution of compound digraphs with TimeArcTrees[C] //Computer Graphics Forum. Blackwell Publishing Ltd, 2009, 28(3): 975-982. Burch M, Vehlow C, Beck F, et al. 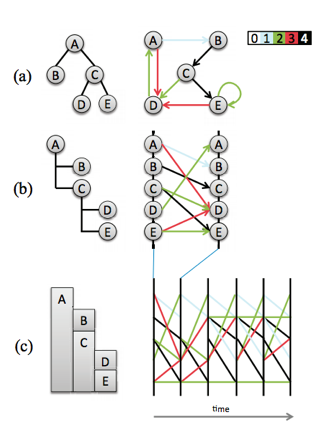 Parallel edge splatting for scalable dynamic graph visualization[J]. 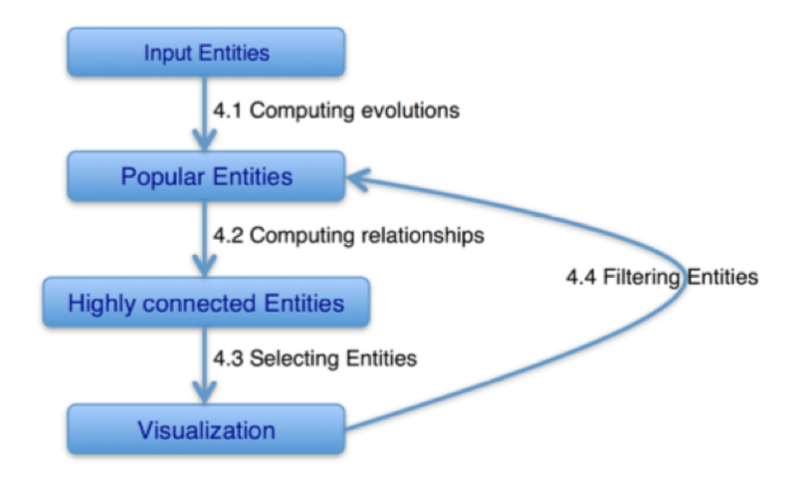 Visualization and Computer Graphics, IEEE Transactions on, 2011, 17(12): 2344-2353. 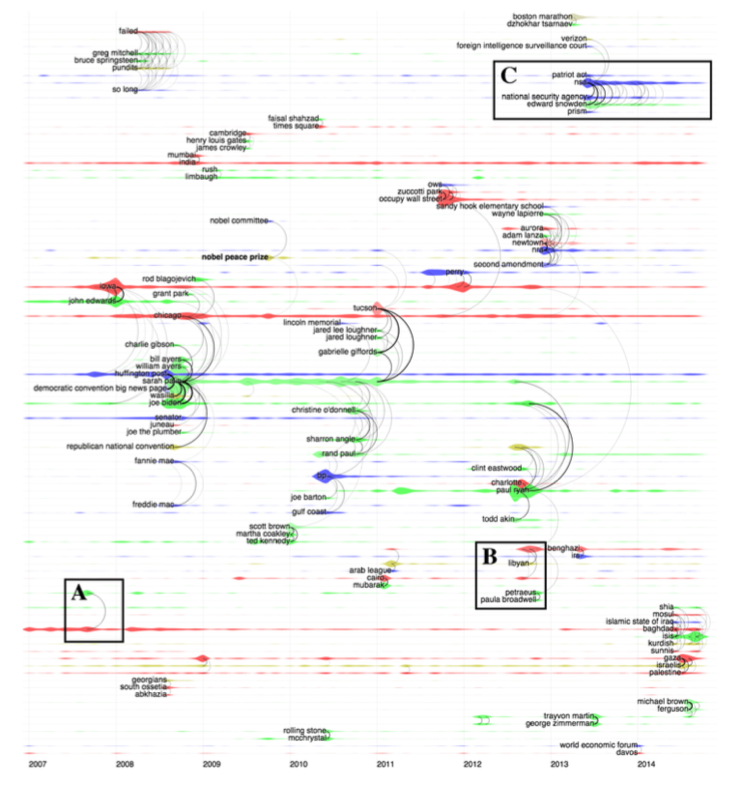 Kim N W, Card S K, Heer J. Tracing genealogical data with timenets[C]//Proceedings of the International Conference on Advanced Visual Interfaces. ACM, 2010: 241-248.